A recent release of Hillary Clinton’s 2009 private emails showed an exchange of emails between herself and Huma Abedin, her aide, exposing Clinton’s lack of knowing how a fax machine works. This might come as shocking news considering that fax machines are known to be widely used in government buildings and large corporations for the daily exchange and receiving of documents. It’s safe to assume that a government representative like Hillary Clinton would be acquainted with such a machine. CNN reported that the exchange of emails concerned a “secure” fax not arriving to Clinton, in which Abedin responded that she should “hang up the fax line” in order to re-establish the line and receive the fax. Clinton responded “I thought it was supposed to be off the hook to work?” This is yet another example of the importance of fax machines, despite new technologies and apps that have been created for people to receive faxes. 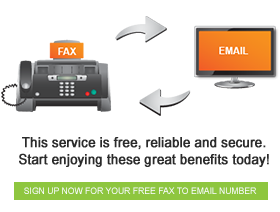 At FaxFX we provide cost effective free fax to email solutions that prevent misunderstandings of how to use a fax machine. It could be possible that Hillary Clinton has been using a fax to email service like ours that is incorporated into email, meaning that the fax is available anywhere in the world so long as you have an internet connection. It can be received in your email box in a form of a TIFF file, or a PDF document which is compatible with most systems that are used. Furthermore, we provide instructions on how to operate the available faxing products that we provide.